It's very easy to spend lots of cash on cool kitchen accessories and yet still find yourself scrabbling around for a missing utensil later in the day. Some items, such as knives, are really worth spending money on, while others can be bought for relatively little. But when you hit the stores and start checking out all those cool kitchen gadgets, it's important to keep focused! So, if you have just moved into your home or are just searching for the perfect house-warming gift, come with us to learn the 11 essential kitchen accessories. We promise it will make life easier in the long run! 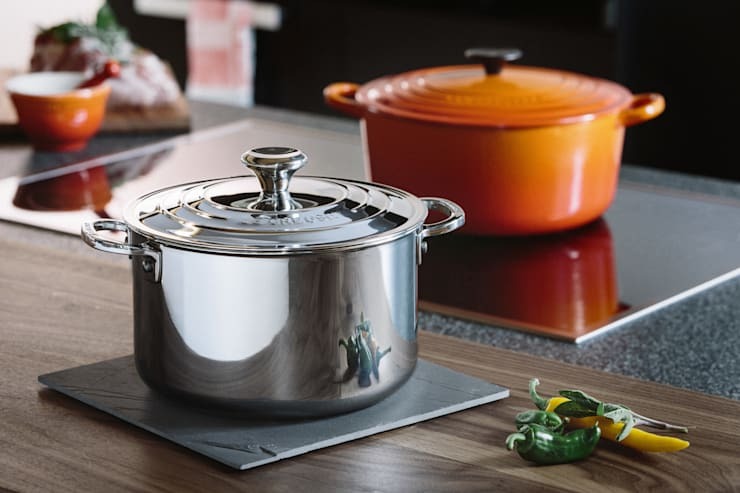 Saucepans are a key essential that are really worth the initial investment. 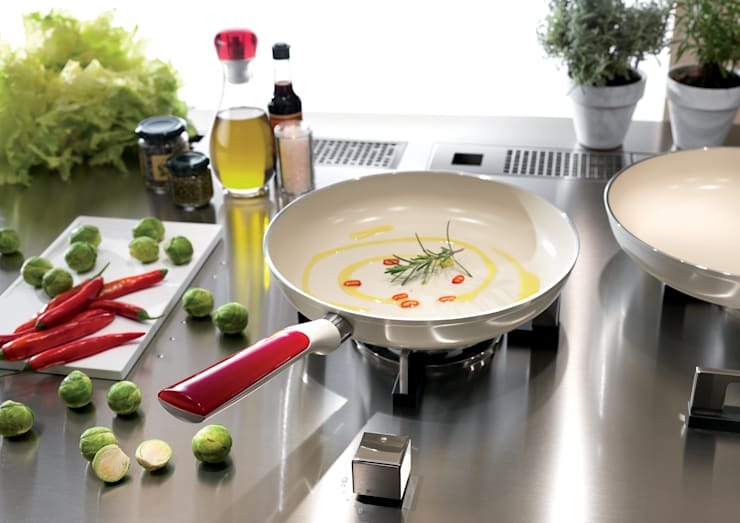 Buy small, medium and large saucepans with non-stick surfaces and thick bottoms. 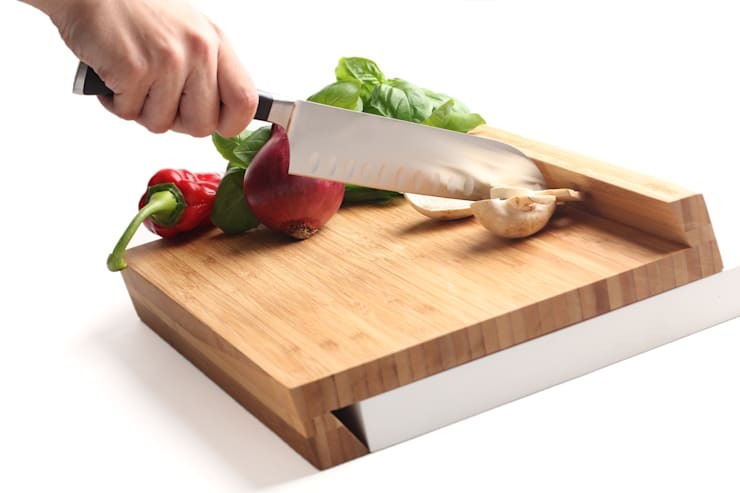 A great chopping board is the mainstay of the kitchen. It is really worth investing in a wooden chopping board like this. 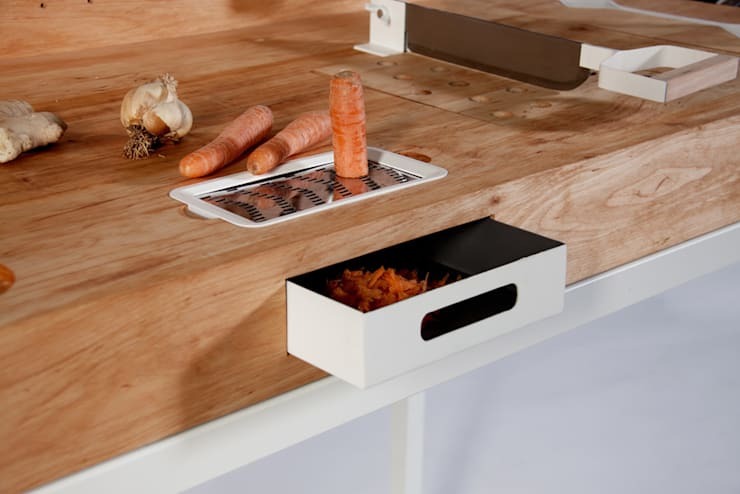 If you have the extra cash, you may want one with corners which will help it latch onto the edge of the kitchen bench. There is no point buying a whole set of cheap knives that won't last very long. Instead, invest in a few good quality cutters. 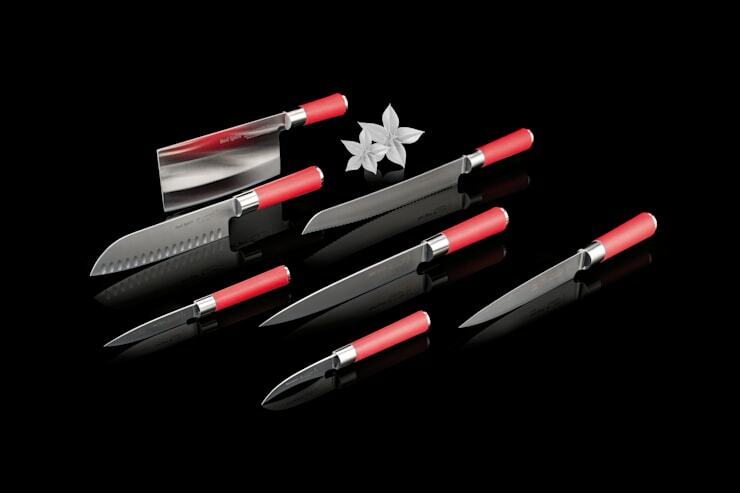 All you need is a 12-inch chopping knife, a carving knife and a small paring knife. Make sure they are of adequate weight, don't bend and feel comfortable to hold. A large, non-stick frying pan is another must. As with the saucepans, it's best to buy something with a thick bottom. When it comes to pans, it really is essential to seek out a quality specimen if you want it to last. Mixing bowls are another essential. 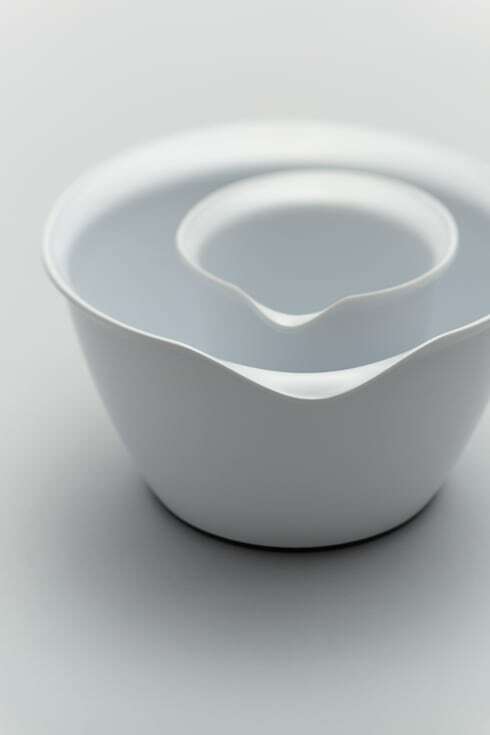 A set of nested bowls will fit snugly inside one another and save space in the cupboard. These can be bought for a relatively small sum but will come in handy time and time again! A box grater or microplane grater is a must for food preparation. If you have the money, splash out a little on an awesome built-in bench grater like this! 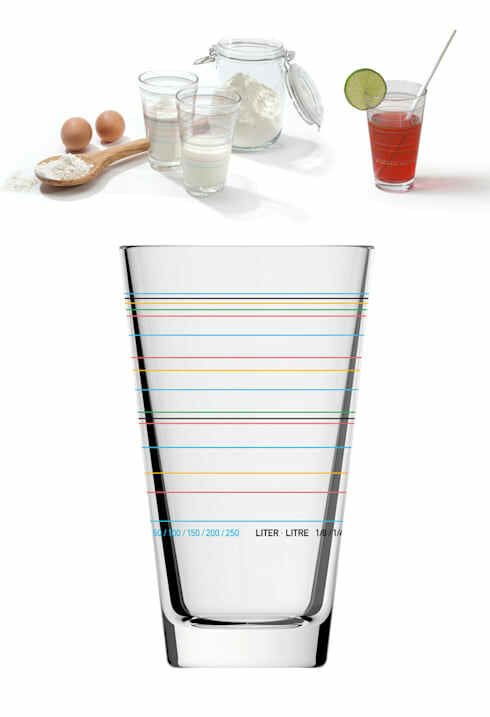 People tend to overlook the importance of a humble little measuring cup. These are simply essential! The one pictured here is a stylish design courtesy of Jette Scheib. A colander is essential if you want to avoid making a mess when draining water from your pots. Get something large to make sure there are no overflows. 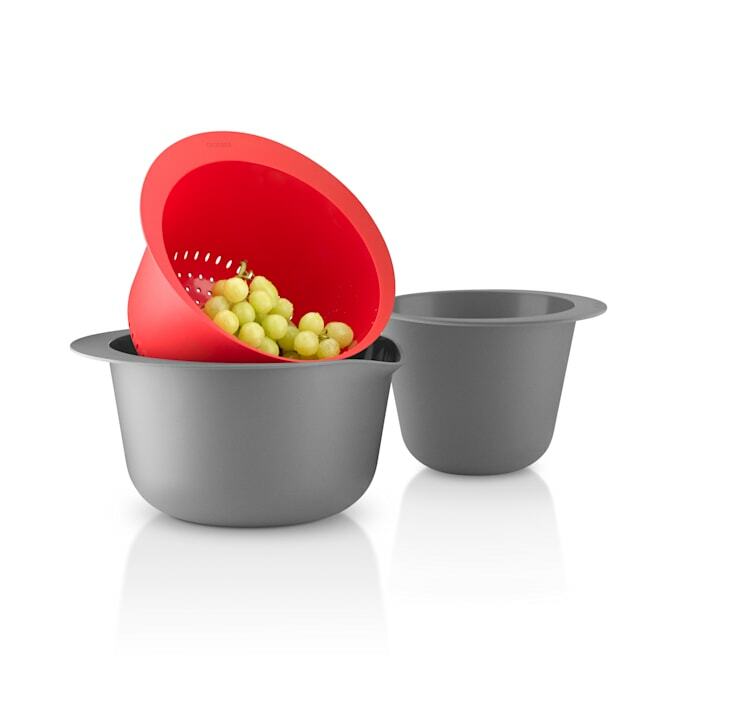 Perfect for fruit, pasta and salads, this versatile creation will see daily use. If you want to control your food portions or are a meticulous chef, weighing scales are another essential. Go old-fashioned or digital, and get those recipes 100% right. 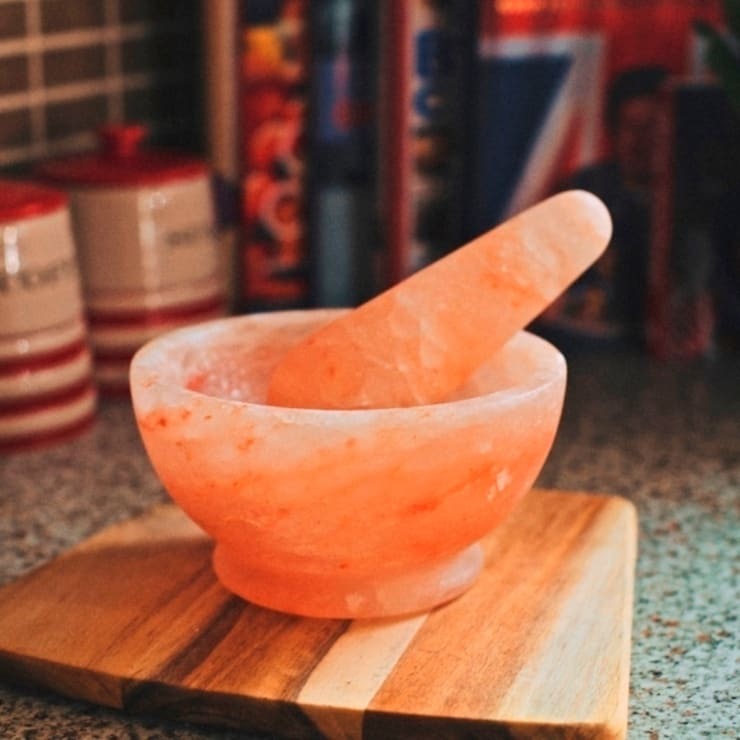 Anyone who loves real cooking will consider a pestle and mortar essential! If not, why not invest in some good sturdy sheet pans? Perhaps you could even get both! Last, but certainly not least, don't forget a whisk, wooden spoon, can-opener, vegetable peeler and spatula. These are some of the most important kitchen accessories of all! If you have just moved into a new home, keep reading for a refresher on making the most of your space: How to arrange furniture in a tiny one-room apartment. 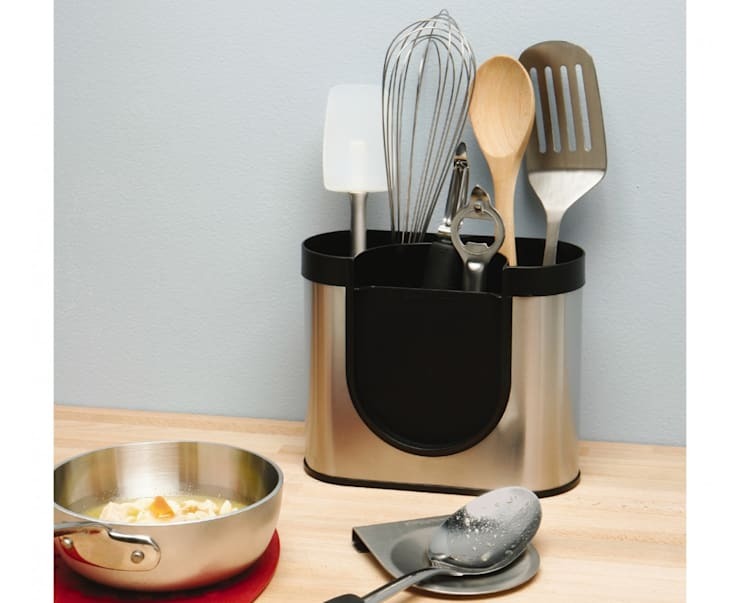 Let us know which kitchen accessories you can't live without! Just use the comments field below.